Cooking in a hurry for some children who have to be coaxed to eat? Try this quick and easy dish that also has a lot of fiber and protein. Cut the hot dogs lenth wise. Then cut some of them in half and others in chunks. Add the can of beans and cook in a heavy pot for about fifteen minutes. Sometimes I add a tablespoon of mustard into the pot for an extra zing. I added some tomato chunks to the top – you could get artistic and add different vegetables to make the hot dog face look like it has lots of hair. 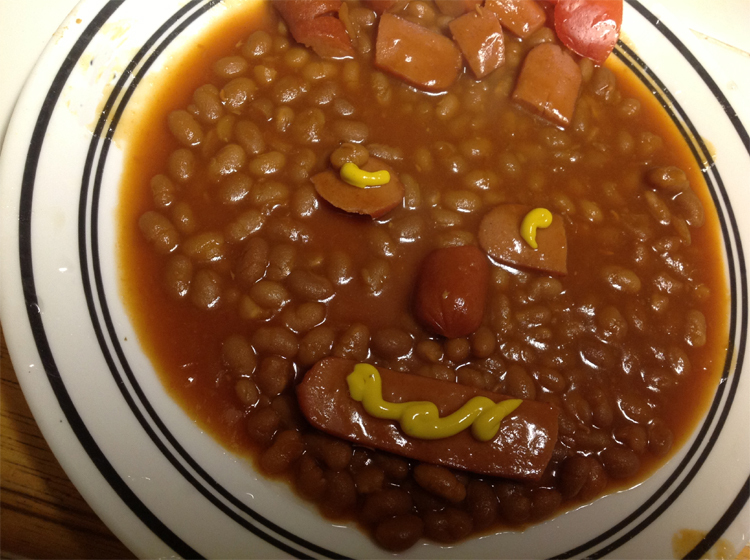 After arranging the hot dogs into a face, I squiggled some mustard onto my masterpiece (you gotta smile folks). 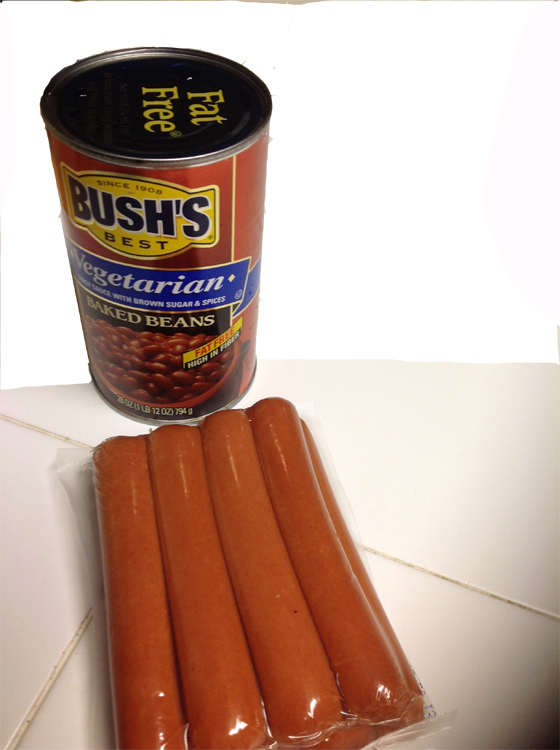 Categories: Recipes, Uncategorized | Tags: beans, beef, chicken, children's dish, hot dogs | Permalink.